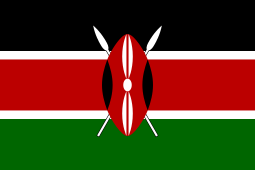 This term we will be studying the continent of Africa mainly looking at the country of Kenya. We visited the African Village in Cog Moors and visiting a local Mosque. We have an exciting last term ahead in Year 3. We really enjoyed our recent trip to Cog Moors Waste Water Treatment centre. We learnt all about how we get water and also got to experience what life would be like in an African Village. Thanks to Cam and Rachel at the centre for teaching us lots of new things. We had to walk to the nearest pond to collect water and also did lots of experiments. We had a fantastic day! We looked at where Vikings are from, what kind of clothes they wore, the houses they live in and much much more. 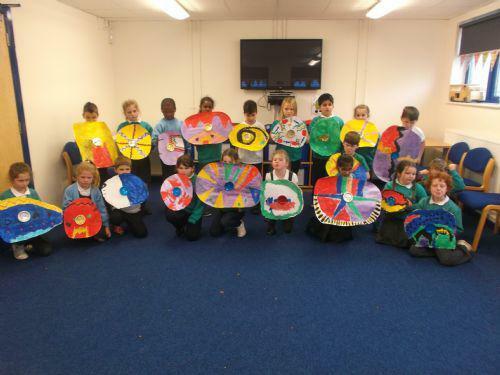 We made amazing Viking shields. Look at our scary Viking faces! In preparation for our topic of 'Africa' in the summer term we are very lucky to have Mr Rees from UPBEAT Music in this term to teach us to play some African drums. Look how good we are! We really enjoy maths in Year 3. One of our topics this term was 2D shapes. We did lots of fun activities to help us learn about 2D shapes. One of the activities we did was a wanted poster describing properties of a shapes, some of us also invented our own 2D shape, we decorated pizza's with 2D shapes and even wrote our names using 2D shapes. The work is now displayed in the classroom. Take a look at some of our work. We also learnt how to measure. To help us we had to estimate the length of everyday objects and then measure them to see how close our estimations were. We measured a glue stick, a chocolate biscuit, a cereal box, a book and a crayon. We also play lots of Maths and English games in Year 3 to help with our learning. It is always really fun! Using Multi-link cubes we had to see how many different patterns we could make. ICT is important in Year 3. We are very lucky in Greenway to have so many good ICT resources including laptops and iPads. Look at the amazing Self Portraits we made in Year 3. They were in an Andy Warhol Pop Art Style. They are amazing! In Year 3 we are fantastic readers. We make sure that we read every day! We were very lucky to have people from the RSPB come in to Year 3 and tell us all about nature in and around our school. Despite the heavy rain and hailstones we had a really interesting day going outside and exploring nature in our school. We found some amazing things! We discovered there is lots of nature in Greenway! Thank you to the RSPB for spending time in our school! Bonfire night is always an exciting time of year. We made some fantastic Bonfire Night art. We made a Fireworks Night sky using chalk and our very own rockets! On the 11th November we learnt all about Poppy Day. We remembered all the people that died in wars by making our own Poppies. They looked brilliant! We love Big Maths in Year 3! We always want to beat our previous score! A few of us were lucky enough to go on a Cardiff City Multisports event. We did really well and even got a trophy! Year 3 is an exciting year. 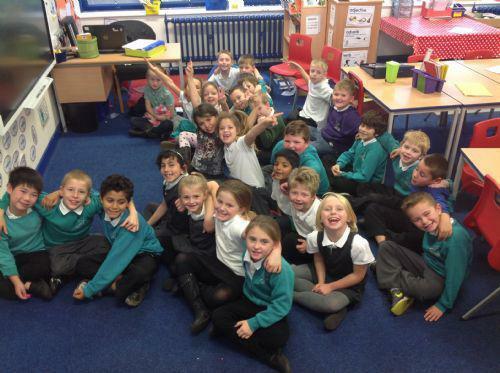 We had a brilliant time visiting St Madoc's back in September, have a look in our gallery to see some of the pictures from this fantastic trip! Every Friday morning we are very lucky to have Mr Rees from UPBEAT! music to come and teach us how to play the Glockenspiel. If we keep practising really hard Mr Rees said that we can do a concert infront of Mums and Dads as well as the whole school. The concert will be on Thursday 9th July! Queen as she presents new colours to the Royal Welsh Regiment. 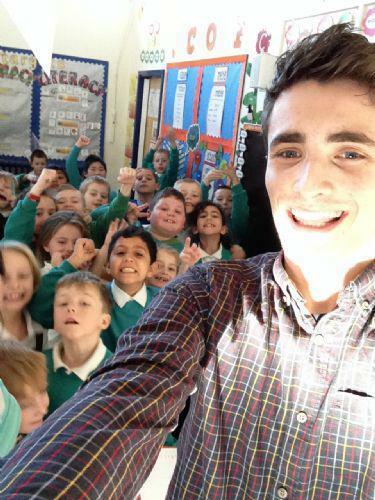 This was a once in a lifetime experience and is something the children (and staff!) will not forget. Year 3 and 4 were also very lucky to go on a school trip to Cosmeston lake where we learnt about habitats of minibeasts, went on a bug hunt and even went pond dipping. Everyone had great fun! Using Counters we have been solving Maths problems. We had to make 3 piles with a different amount in the pile every time. We are excellent problem solvers! We also made our own dice to help us add numbers together. It was great fun! Here is us doing some more problem solving activities. We had to count how many squares on a chess board (Not as easy as it sounds! ), as well as that we had to make 42 with 3 numbers, write questions to a given answer and a dice activity to see how many numbers they could make. Everyone had 10 minutes on an activity before moving on the next one. 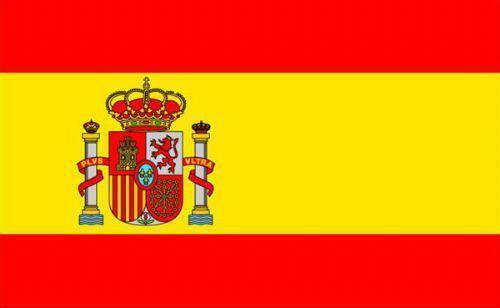 about the Spanish Culture, Spanish art, music in Spain and we'll even have a go at some Spanish dancing! We really enjoyed learning about Spain! 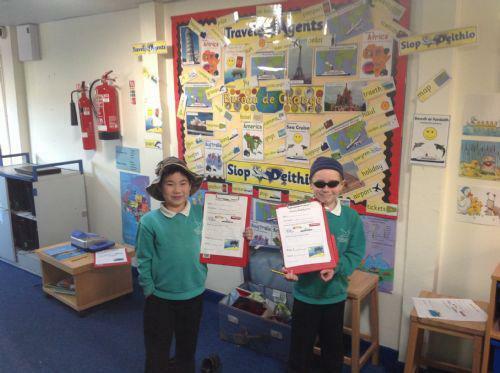 The learners have been enjoying using our 'Travel Agents' role play area. I wonder where Johnny and Calum are going on their holidays? ASIA, AFRICA, NORTH AMERICA, SOUTH AMERICA, EUROPE, AUSTRALASIA AND ANTARCTICA. We found out that Spain is in Europe. There a lots of different countries in Europe. Finding the names of different countries on a giant map was good fun. We had races to see who could find certain countries first! We've enjoyed using iPads to find out more information about the world we live in! We used the internet to search for the countries but also used the brilliant 'Travel Zoo Map The World' app. 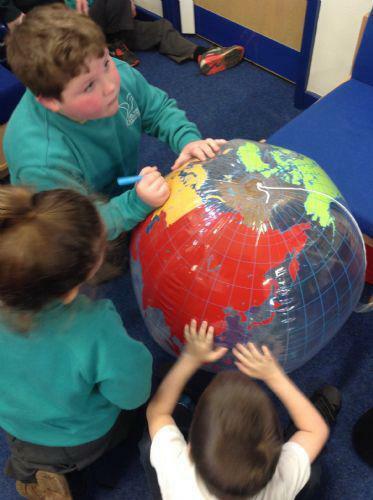 We have started using an atlas to find out where countries are in the world. 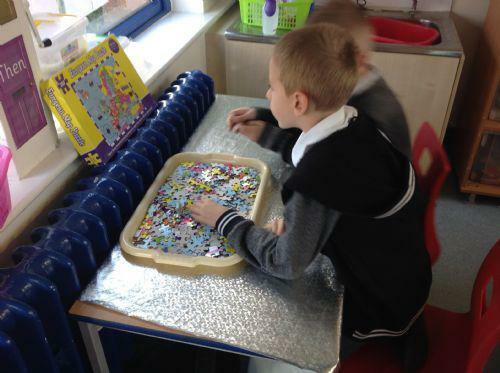 Completing a jigsaw puzzle of Europe was a good way of learning all the different countries and their sizes. Our class assembly was on the 12 February. 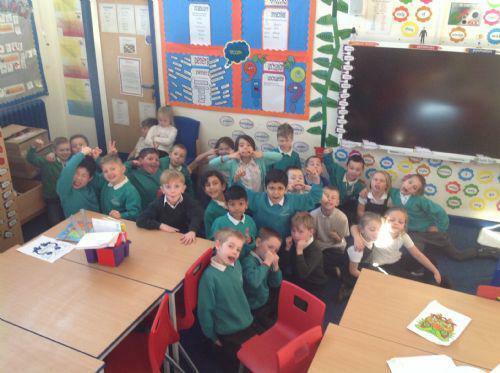 We spoke about Chinese New Year and what we have learnt in Year 3 so far. The assembly went really well and the children did a fantastic job. They should all be very proud!